Check out Joshua Budich’s awesome new print “Some Day We’ll Find It”, a loving tribute to one of the artist’s all-time favorite characters, Kermit the Frog! This wonderful print also pays tribute with its title to the greatest Muppets song ever, Rainbow Connection. “Some Day We’ll Find It” is a 12”x18” signed and numbered 7 color screen print. 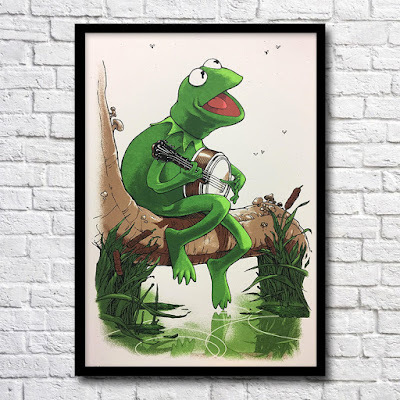 Limited to just 100 pieces, this Kermit the Frog print is currently available at Budich’s online store for just $35. A few lucky collectors will receive Artist Proof copies of this Muppets poster!